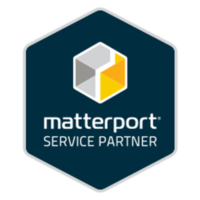 Matterport virtual tours in Atlanta are the smart marketing play in the residential space. The new Matterport virtual tour “Pro2” camera is in our hands and the quality and value for you is off the charts. The new imagery is four times the resolution of the original camera and the ability to export 36 MP 4k images is a game changer. We have the new Pro2 Matterport camera for Matterport virtual tours in Atlanta in hand and we are celebrating with a huge Atlanta summer sale. Only $599.00 for a Matterport virtual tour in Atlanta, 40 print ready photographs for your listing, Short social media videos of your tour, An animated GIF for your email marketing, a 360 image for Facebook marketing and a virtual reality experience. ALL for only $599*. Barnes Creative Studios produces real estate media for some of the top luxury brands in the world like St. Regis, Four Seasons and more. The fact that we are based in Atlanta opens doors to huge savings for real estate agents in the Atlanta area. You get a producer with 25+ years of experience versus someone who just bought a drone and Matterport camera recently and doesn’t have the experience to create perfect assets. 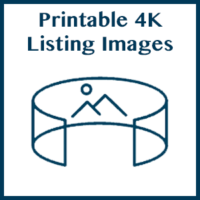 The same Matterport real estate virtual tours in Atlanta you know and love but now with four times the resolution. Imagery is sharper than ever and the colors shine through in ultra high definition aka “4K”. The technology keeps getting better and better to your brand’s benefit. This new ultra HD imagery also still has the great new features like Mattertags baked in so you can display images, videos and anything else that can be embedded within your Matterport virtual tour. You no longer need to pay a photographer separately. We can lift ultra HD, printable images from any angle of your Matterport virtual tour in Atlanta at NO EXTRA COST. 36 megapixel images can be lifted anytime from any angle. This means if you forgot to capture something there is no going back and setting up a new photo shoot. We can simply lift the image straight from our captured virtual tour data. These images are great for everything from your webpage to a coffee table book and even a billboard. We will shoot 5 ultra HD-4K drone images for $199 extra cost. All images will be color corrected to perfection. We will shoot all angles available to gather context for the listing*. 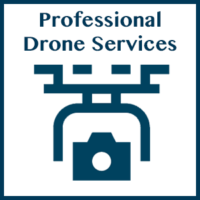 We are FAA approved with drone specific liability insurance. We have tremendous experience with drones and also have an experienced eye both to get the “money shots” but also to post produce them to look amazing for all of your needs in marketing a property. *Drone images only applicable for single family homes in metro Atlanta. Not able to fly if heavy trees with visibility problems or inclement weather, power lines blocking or within 5 miles of any airport. We now have the capability to lift a 360 degree panoramic image from your real estate virtual tour in Atlanta that you can use for Facebook marketing. Facebook will recognize the 360 image and by default users can move their phone around or grab the screen to look around the space. 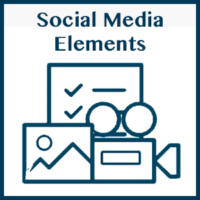 We are also now providing small video clips and animated GIFs for your e mail marketing. NO EXTRA COST. 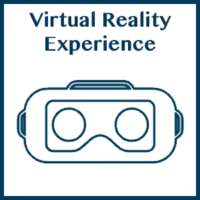 We provide virtual reality version of all virtual tours we produce at NO EXTRA COST. Because we capture data and not simply photos of a space we are able to use that data in a myriad of ways. 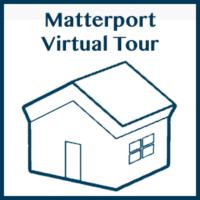 At your request we provide a virtual reality version of your Matterport virtual tour that can be used to view in any virtual reality headset. Contact us for more information about a Matterport virtual tour in Atlanta and beyond to book your Matterport production. *Offer good for residential real estate Matterport virtual tour in Atlanta up to 5000 square feet. Plus $100 for every 0 to 1000 square feet after 5000 square feet. Plus $100 for homes more than 1 mile outside of highway 285. Plus $50 hour for “photoshopping” beyond standard color corrections.